The Aging and Disability Resource Center of the Wolf River Region offers information about available resources in Shawano, Oconto and Menominee Counties and the Stockbridge-Munsee Community to promote healthy and active lifestyles. The ADRC encourages you to recognize the importance of your own health and wellness and has Information and Assistance Specialists available to help you reach your goals. 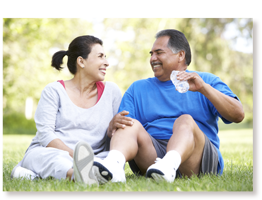 The ADRC can provide referrals to local prevention programs such as Strong Bones, Stepping On, Healthy Hearts, Living Well with Chronic Conditions and other programs as offered. Information is also available for local community centers with opportunities to participate in both individual and group settings to start the journey today. Additionally, The ADRC is able to provide information and referrals to seek ongoing medical care and can assist in providing crucial connections. Our team can also help you understand your health care coverage and make the most of your health care benefits. We are here to help you identify creative solutions to achieve and maintain your healthy and active lifestyle. If you are interested in discussing your options, please come in and discuss the opportunities in your area with an Information and Assistance Specialist.